Yesterday I stumbled upon a Ted talk of Dan Pallota. A very interesting edition. The man states we should give the same opportunities to non-profits organizations as we do to the for-profit ones. Because currently we don’t. 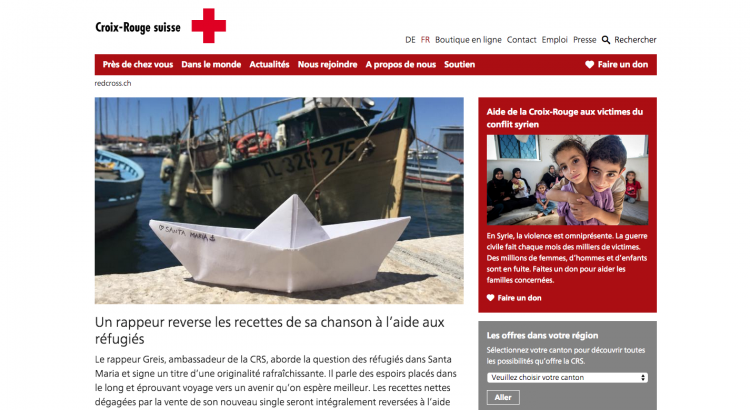 This first edition of the CCC (Checking Charity Checkouts) will be about the Swiss Red Cross. One of the biggest charitable organization in Switzerland. Don’t get me wrong, I think they do a great job, but their site could need some improvements. I’m also mostly pinpointing what not working IMHO. I’ll let someone else do the praising.